Aerial photograph. Glacial outwash sometimes produces a beautiful aquamarine color. 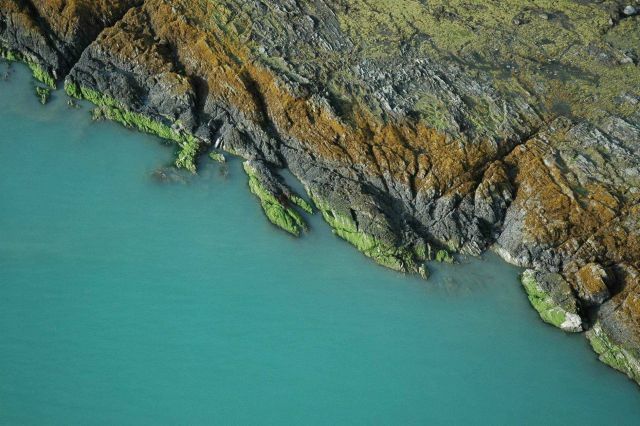 The distinct brown and green shows various marine algae species at distinct tidal levels. The upper right green appears to be a terrestrial flora species.